Anyone who’s been through cancer treatment knows: it’s not for sissies. While doctors focus on eradicating tumors and clearing out lymph nodes, patients must deal with the day-to-day discomforts that treatments can cause. A stiff upper lip gets one only so far. Sometimes, trying to be strong backfires, as a body in pain has fewer resources to spend on healing. Fortunately, there are complementary treatments that can help. It used to be that we weren’t sure whether things like massage provided any measurable relief, but recent scientific research has shown us that not only can certain therapies make you feel better, they can actually improve your quality of life, and sometimes even boost your body’s ability to fight. As any woman living with cancer knows, a huge part of the battle occurs in the mind. Going back again and again for treatments that leave you feeling miserable can get anyone down. Say nothing of the constant anxiety and fear of what may happen tomorrow. If you’ve never tried meditation before, this may be the time. A March 2014 review of 47 studies on meditation and cancer found that meditation helped ease stress, anxiety, depression, and pain. 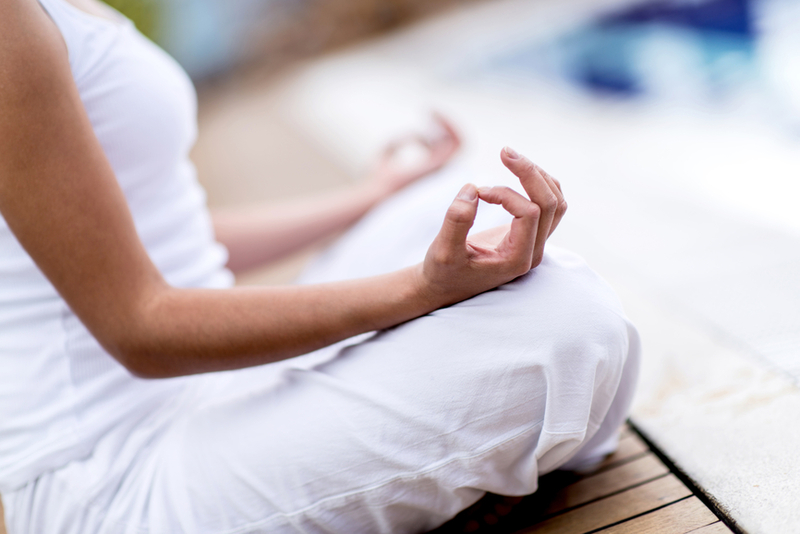 An earlier 2013 study in women with breast cancer also found that mindfulness-based stress reduction, which is a type of “in-the-moment” meditation and relaxation, helped women to cope better with the disease and its treatments. Women who took part in the meditation felt less depression, anxiety, and helplessness than women who didn’t. 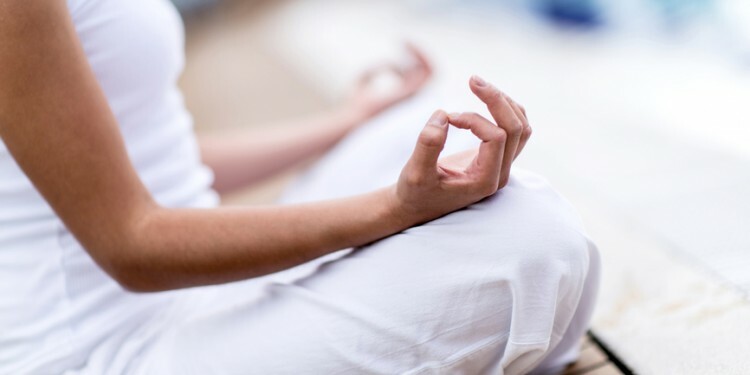 If you’re interested, you can try attending a meditation or mindfulness class near you, pick up a few meditation CDs (you can find some at Health Journeys), or simply set aside ten minutes each day to sit quietly and observe your thoughts. Focus on your breath flowing in and out, and envision an image of a bright light or favorite place. The key is to avoid reacting to your thoughts, but to just let them come and go while imagining the light and taking deep breaths. If you already practice yoga, you know how it can help ease tightness and pain in your muscles while quieting the mind. A number of studies have also found that it provides benefits to those living with cancer. In fact, the women who practiced yoga were able to significantly decrease levels of cortisol—the stress hormone—in their blood. Researchers noted this was particularly important, as higher stress levels have been linked to worse outcomes in breast cancer. Patients used to be concerned about getting massage during cancer treatments, for fear that it would somehow encourage the cancer to spread. Those fears have now been put to rest, as new studies have found that massage can be very beneficial during cancer. A 2013 study, for example, found that patients suffering from brain cancer who received a massage twice a week for four weeks experienced reduced fatigue and sadness, and improved emotional, social, and physical well being. If you have low blood platelet counts, get only a gentle massage, as more aggressive or deep tissue massage could cause bruising. Ask your massage therapist to stay away from tumor areas. Make sure your therapist knows you have cancer and is experienced in oncology massage. Always check with your doctor first. Take massage and apply it to the feet and you have reflexology. It’s a little more complex than that, though. Practitioners will tell you that they manipulate reflex points on the feet, hands, and ears that correspond to other organs and systems, thereby providing a full-body treatment through pressure on specific areas. Patients who have experienced reflexology just say: ahhhhhh. It’s more than relaxing, though that can be enough for many patients. A 2008 study review concluded that though available evidence is limited, reflexology may help to reduce fatigue, anxiety, and pain. At five weeks and at 11 weeks, researchers found that women in the reflexology group experienced reduced shortness of breath, and an increased ability to go about their daily activities. The idea of having more needles poked into your skin may not seem attractive when you’re going through cancer. Ask those who have gone to an acupuncture appointment, though, and most will tell you it was relaxing. After all, the needles are about as thick as a strand of hair. If you have a fear of needles or are just tired of needles, let your practitioner know. 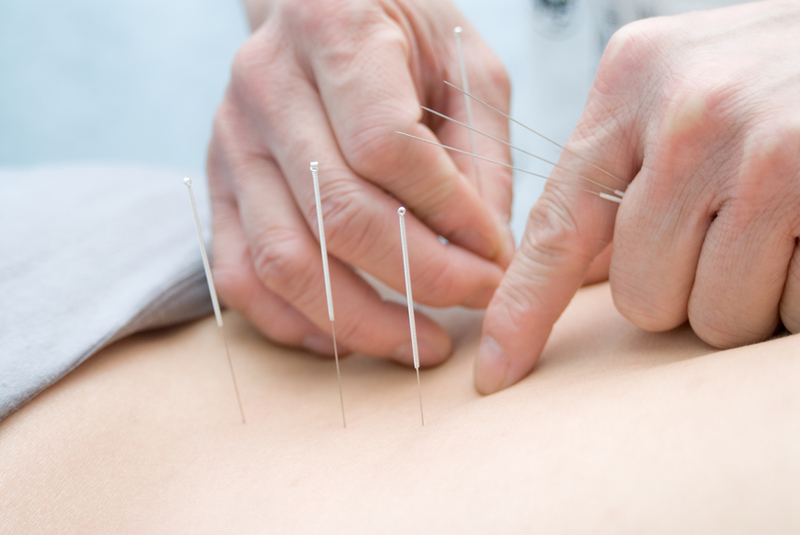 He or she can start with the thinnest needles possible, or can even use non-needling techniques to get you started. The most important thing when considering complementary therapies during cancer is not to feel guilty. Women are used to caring for others—not so much for themselves. Making an appointment for massage or going to a yoga class may feel like you’re being self-indulgent, but it’s just not true. Your body needs all the help it can get to make it get through this battle. By relieving pain, stress, anxiety, and fatigue, you are giving yourself the fuel you need to keep fighting. Take advantage of every chance you get to feel good, and you’re long-term outcome is likely to look much more positive. Madhav Goyal, et al., “Meditation Programs for Psychological Stress and Well-Being: A Systematic Review and Meta-Analysis,” JAMA Inter Med., March 2014; 174(3):357-368, http://archinte.jamanetwork.com/article.aspx?articleid=1809754. Henderson VP, et al., “A randomized controlled trial of mindfulness-based stress reduction for women with early-stage breast cancer receiving radiotherapy,” Integr Cancer Ther., September 2013; 12(5):404-13, http://www.ncbi.nlm.nih.gov/pubmed/23362338. Kavita D. Chandwani, et al., “Randomized, Controlled Trial of Yoga in Women with Breast Cancer Undergoing Radiotherapy,” Journal of Clinical Oncology, March 3, 2014; doi:10.1200/JCO.2012.48.2752, http://jco.ascopubs.org/content/early/2014/03/03/JCO.2012.48.2752.abstract. 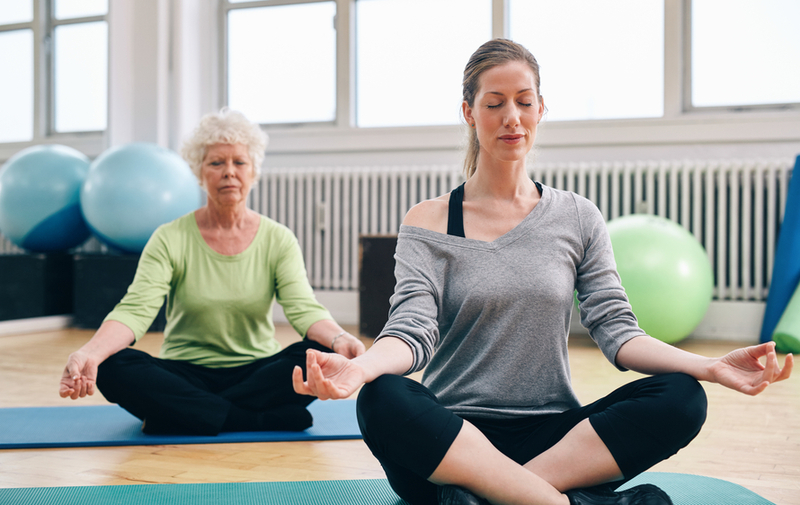 Janice K. Kiecolt-Glaser, et al., “Yoga’s Impact on Inflammation, Mood, and Fatigue in Breast Cancer Survivors: A Randomized Controlled Trial,” Journal of Clinical Oncology, January 27, 2014; doi:10.1200/JCO.2013.51.8860, http://jco.ascopubs.org/content/early/2014/01/21/JCO.2013.51.8860.abstract. Stephen Thomas Keir and Julia R. Saling, “Pilot study of the impact of massage therapy on sources and levels of distress in brain tumour patients,” BMJ Support Palliat Care, September 27, 2012; doi: 10.1136/bmjspcare-2012-000224, http://spcare.bmj.com/content/early/2012/09/27/bmjspcare-2012-000224. Barrie R. Cassileth and Andrew J. Vickers, “Massage Therapy for Symptom Control: Outcome Study at a Major Cancer Center,” Journal of Pain and Symptom Management, September 3, 2004; 28(3):244-249. Wilkinson S, et al., “Reflexology for symptom relief in patients with cancer,” Cancer Nurs., Sep-Oct 2008; 31(5):354-60, http://www.ncbi.nlm.nih.gov/pubmed/18772659. Gwen Wyatt, et al., “Health-Related Quality-of-Life Outcomes: A Reflexology Trial with Patients with Advanced-Stage Breast Cancer,” Oncol Nurs Forum., February 19, 2013; 39(6):568-577, http://www.ncbi.nlm.nih.gov/pmc/articles/PMC3576031/. “Acupuncture,” National Cancer Institute, October 7, 2014, http://www.cancer.gov/cancertopics/pdq/cam/acupuncture/healthprofessional/page5. What’s the Best Way to Relieve Hot Flashes?